Here you can find a little bit of information on local guides and industry professionals that love and are actively working to conserve the Truckee River system. Gilligan brings to the river over 25 years of experience fishing and tying flies for Truckee River trout. 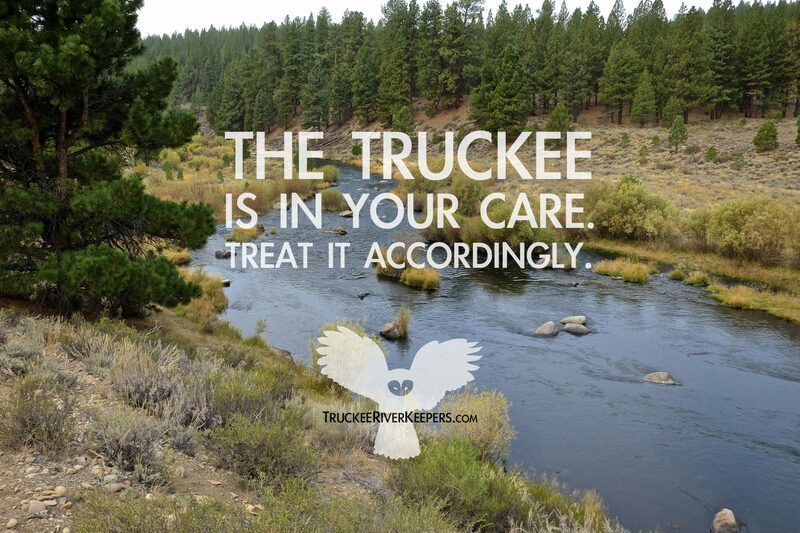 Gilligan’s Guide Service runs trips year round on the Truckee River in California and Nevada, West and East of Reno, the Little Truckee River, and to Pyramid Lake in Nevada, home of some of the biggest freshwater trout in the world. He has the equipment to outfit first timers for whatever fishing excursion holds their interest. Gilligan’s Guide Service offers half-day, full day, and float trips (Nevada only). Gilligan resides in Hirschdale, California along the banks of the Truckee River and is the authority on catching Truckee River Trout. Master Guide Doug Ouellette offers a complete guide service for the Reno / Tahoe and Susanville areas with over 40 years of fly fishing experience. He is nationally known for his stillwater techniques as well as his river expertise. The clinics he runs and operates are second to none! Doug is also a contract fly tier for Umpqua Feather Merchants and is a recipient of the coveted “Cal Bird Fly Tying Cup”. Before reaching the age of 18, he was a licensed fly fishing guide and commercial fly tier based out of Truckee, California. He is extremely knowledgeable both on the Truckee River as well as nearby Pyramid Lake. Most recently Jan authored “The Fly Fisher’s Guide to: Nevada“. Jan’s patterns are carried and tied by Orvis for the local Nevada fisheries and neighboring Sierra Nevada Mountains. Jan currently contributes articles and photographs to Sierra Fisherman Magazine. Dan LeCount is a fly fishing guide in the Truckee area with a passion for the natural world. He grew up on the California coast, spending his youth exploring the hills and streams near Half Moon Bay. He started fly fishing around 11 on an annual pilgrimage to the eastern Sierras with his father and brothers and hasn’t stopped since. Dan is a contract fly designer with Umpqua Feather Merchants, a rod builder, published author, photographer and artist. He has worked in the fly fishing industry almost 17 years and is very active in many of the local watershed conservation programs, especially Trout Unlimited. He’s very well regarded for his talks on the Truckee area along with talks on fly fishing tactics and ethics. He is a 4th generation fly fisher and comes from a long line of teachers. I will be in the lake Tahoe area from July 31 until august 5 and I am an avid fisherman from Ontario Canada with no fly fishing experience looking to experience the beauty of California/Nevada trout fishing. I am also a conservationist and catch and release and preserving the fishery is important to me. If conditions are conducive to fishing I would like nothing more than to spend a day in your beautiful outdoors fishing for some of your elusive trout. Please let me know it the diminished water flows/conditions allow me to do such without causing harm to your precious resource. I would strongly discourage anyone from fishing the Truckee River in July/August. Your best bet a great experience in the Sierras is to contact one of our partner guides and request a trip to alternate waters…we have lots of options. Matt is a good place to start.